After the acquisition of WooCommerce by Automattic, we observed its tremendous growth. WooCommerce got Square integration a bit more than a year after it’s acquisition. It proved to be a big implication in bridging offline and online store purchases. The square integration allowed store owners to sync their offline and online inventories. This means that you can create a sync between your online and offline stores. Whenever there is a new purchase, inventories at both places get updated automatically. And Square integration allows you to share a common payment processor for your online and offline stores. Another side of the picture is the availability of checkout APIs of Square which has created a space for new ideas and businesses to flourish. 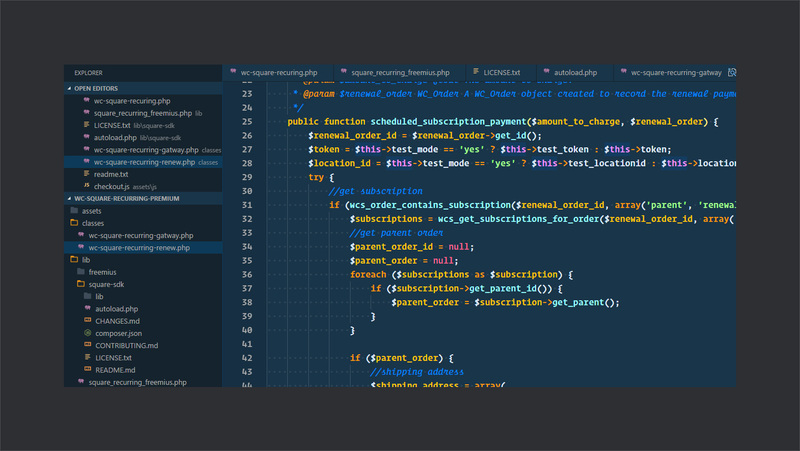 WordPress developers also jumped on this opportunity and worked out some amazing solutions. 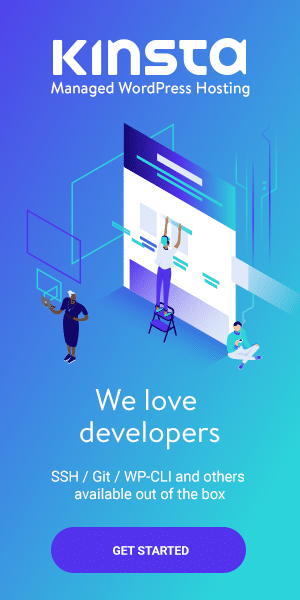 One such incredible team is behind APIExperts who provide some bold Square integration solutions. 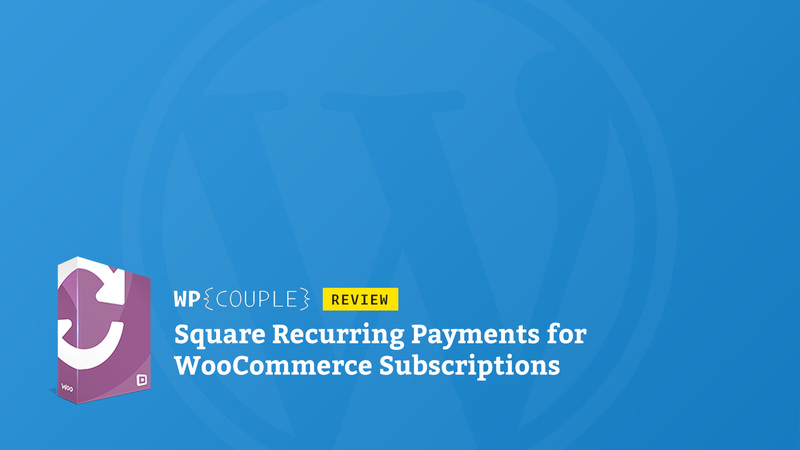 Today, I am going to review one of their recently launched solution – Square Recurring Payments for WooCommerce Subscriptions. I recently got to know about this incredible new addon. Its key function is that if you already use Square for online and offline stores, it adds a new layer to receive recurring payments as well. In this extensive review, I will take a deep dive into its functionality and cover details about how to set this addon quickly. So, let’s get started! APIExperts (formerly known as SquareIntegration) is a venture of awesome folks like Saad Iqbal at WPExperts, who build WordPress products and provide quality business solutions. They rock a pretty solid product line including both free and premium products. Currently, they serve a huge number of 70,000+ happy customers. 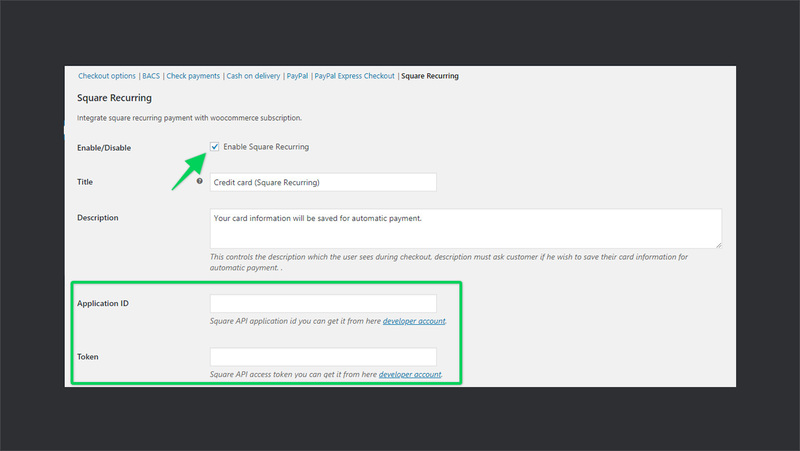 So, next time when you sync your offline and online stores, you can also offer subscriptions to receive recurring payments using same gateway – Square. 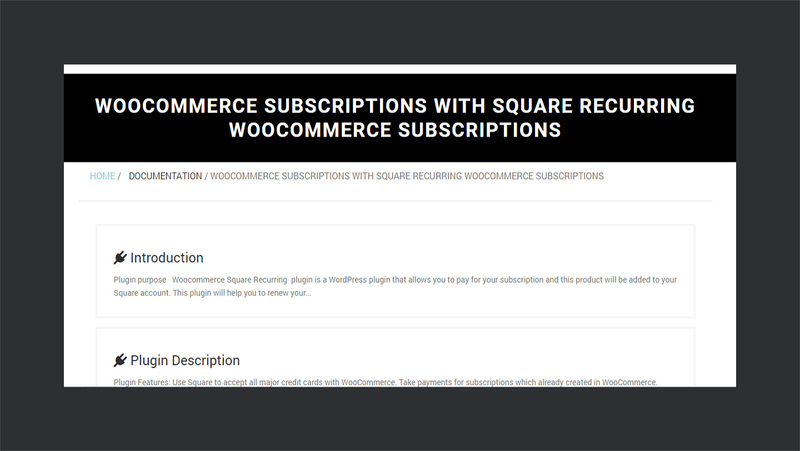 Square Recurring Payments for WooCommerce Subscriptions is a premium WooCommerce plugin. It comes with three different licenses which range from $89.99/year for a single site to $289.99/year for up to 15 sites.  Since Square Recurring Payments for WooCommerce is an add-on for your WooCommerce store, that’s why it has got some pre-requisites for its proper working. Below is the details on the requisites and the quick steps to get started with this amazing new plugin. Before you get started with Square Recurring Payments for WooCommerce Subscriptions you need to make sure you have the following tools in your arsenal. 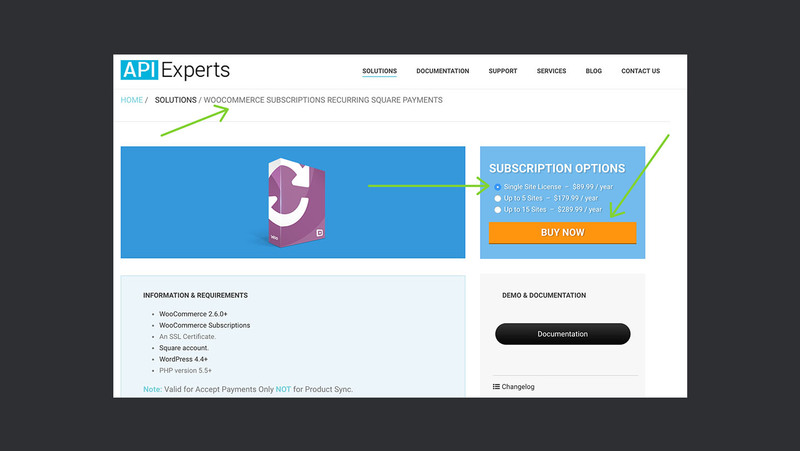 Purchase the Square Recurring Payments for WooCommerce plugin by hitting the BUY NOW button. For the sake of this review, I am opting its Single Site license. You can choose the license type according to your requirements. After checking the list of prerequisites, get started to set up Square Recurring Payments for WooCommerce. 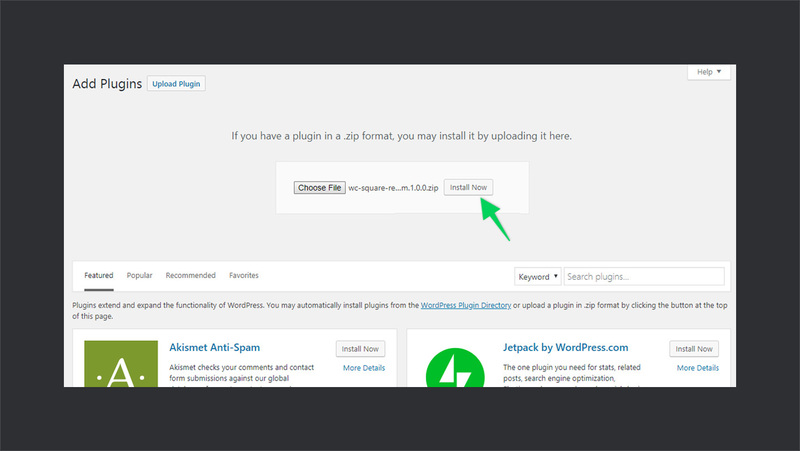 Go to your WordPress dashboard, then go to Plugins > Add New and click on Upload Plugin. Select the .zip file, install, and activate. After plugin activation, next step is to activate the license. 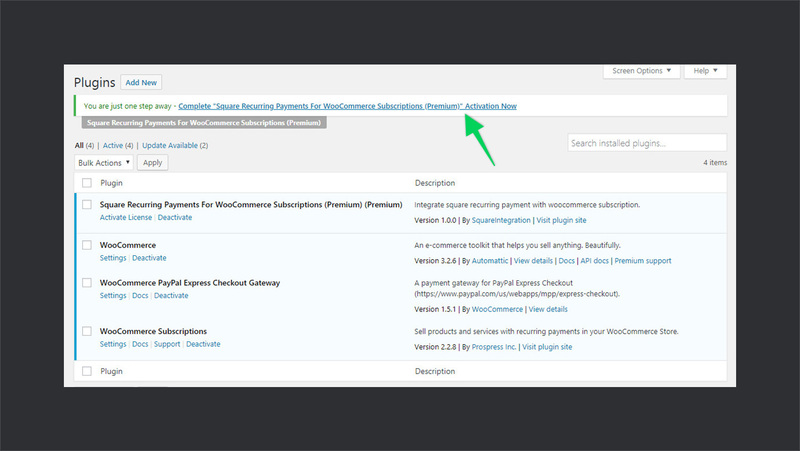 It will show a notification on the top of your WordPress dashboard to activate the plugin. Follow the link to insert your license key and activate it. Once you have activated the license, navigate to WooCommerce > Settings > Checkout. Here, you should see a section named Square Recurring. It indicates successful installation of the plugin. After successful installation of the plugin, you need to connect it with a Square app to sync data with Square.  For this purpose, you need to first create a Square application and then connect it to your site. 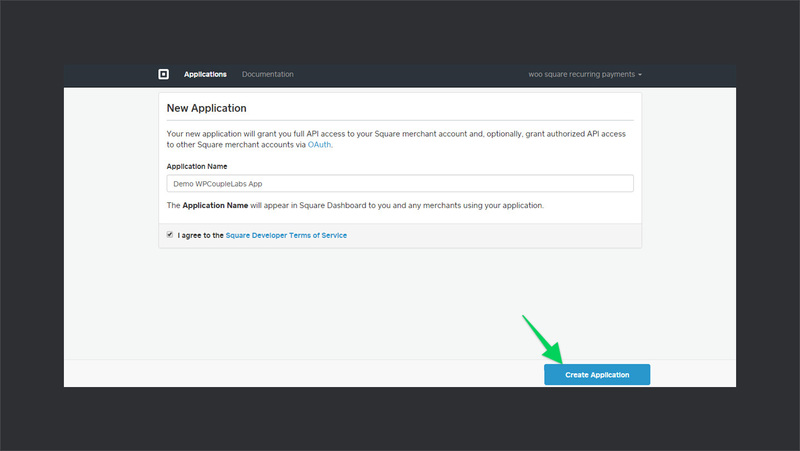 Follow the simple steps below to connect the plugin with your Square application. The very first step here is to create a new Square application. To do so, log in to your Square account and navigate to developers portal. Click on Create Your New Application button to start creating a new app. Now, enter your desired Application Name and click on Create Application button. 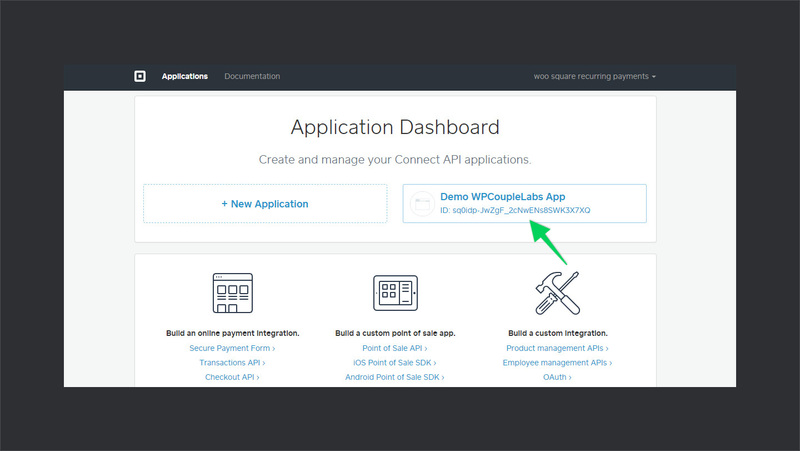 Your app will be created and added to your applications catalog in your Square account. 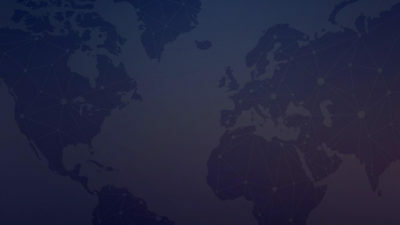 Here, each application that you create at Square has a unique ID, a token, and other credentials. 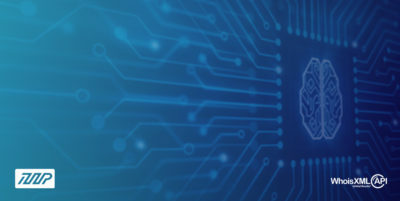 These credentials help you communicate with your application through third-party apps. 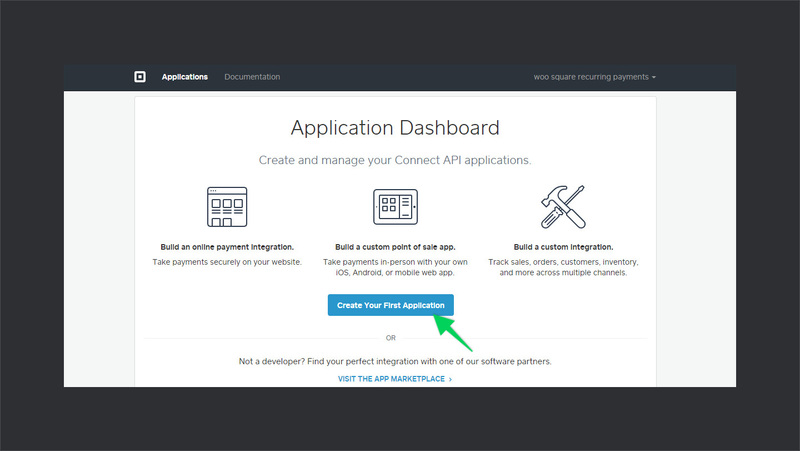 Thus, to connect the application to your site, you need your application credentials. Click on your application’s name in the applications catalog to get this detail. After grabbing the Square application credentials, the next step is to paste them into the plugin. 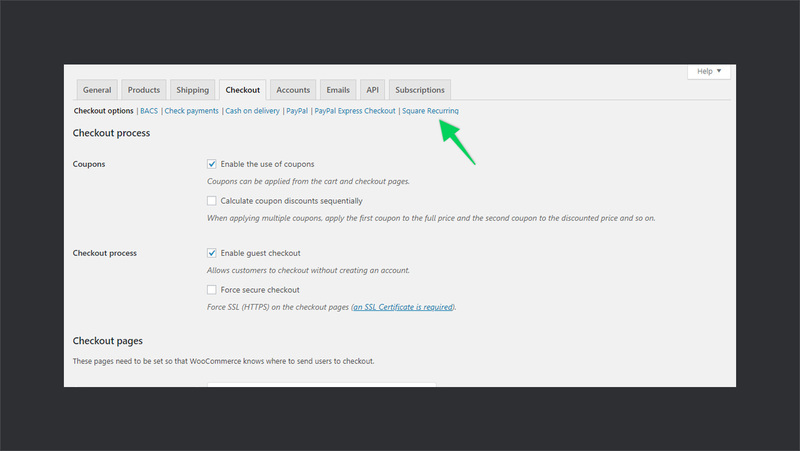 For this purpose, go to your WordPress dashboard and navigate to WooCommerce > Settings > Checkout > Square Recurring. 💥 Square recurring payment for WooCommerce subscription has been successfully enabled. Now, whenever a user purchases a subscription he will be able to pay through Square. Take a look at the screenshot of checkout below. Overall, the plugin assets are very well-organized. The code is properly commented, well-structured, and there’s no bloated code. So, extending or modifying the plugin would be ` a smooth experience. I’d recommend the developers to follow WordPress Coding Standards. The team at APIExperts provided an exclusive 25% discount for WPCouple readers. Use the coupon code WPCouple at check out to grab the offer. This offer is valid for first 10 people only. 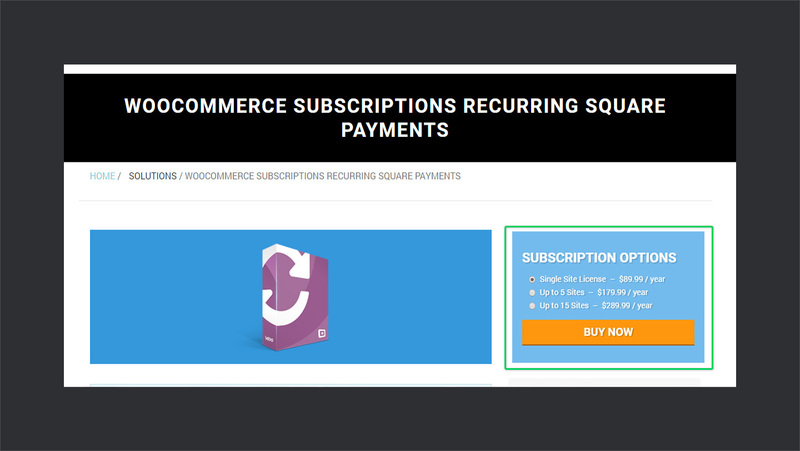 Square Recurring Payments for WooCommerce Subscription provides a pretty clean and simple module to receive subscription payments via Square recurring payments. If you’re already using Square to sync your offline and online stores then you can use Square to receive subscription payments as well. This addon is a must-have in that case. 👉 However, there is a design issue which I want to highlight. 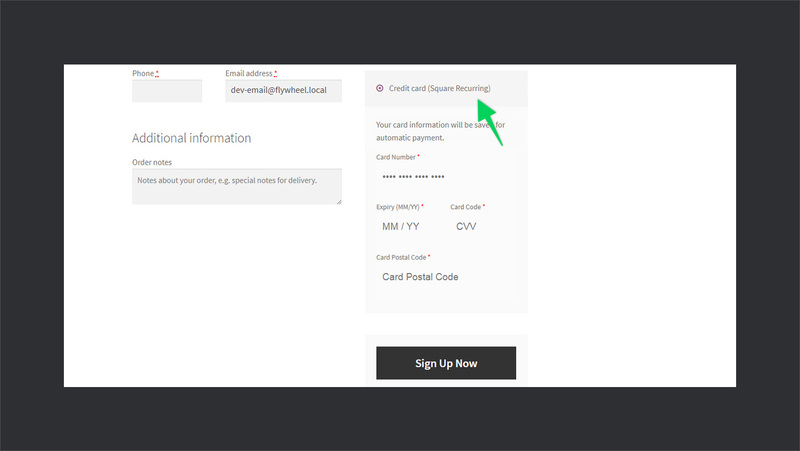 The main web page for Square Recurring Payments for WooCommerce has an empty black space which is not needed. It is affecting the overall UX design. You can find the link to the screenshot here. 🤔 The naming convention for this plugin needs revision. IMHO the current name of the product is quite long making it difficult not only to remember but also to express. I would like to see a more cool and precise name since the product has a great potential to grow. I think such a long name might hamper its growth. 🛡 Also, I’d recommend the developers to follow WordPress Coding Standards. That’s all for today. Do you use Square with your WooCommerce store? What do you think of this new product by WPExperts? Let us know your thoughts in the comments below. Thank you for the Article. I have few question about the Plugin. Do i need to purchase both Square recurring plugin + WooCommerce Subscriptions? Where do i configure the product recurring options? such as this product available for monthly option.. this for twice a week..? It must have expired and for the product related questions, kindly ask their support for that.